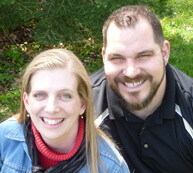 We are Kraig and Anne Elliott, and we have been developing homeschool curriculum and writing Bible-study books for over a decade — practical for large or small families, but firmly based upon God’s Word as our primary textbook. We are the parents of seven children. 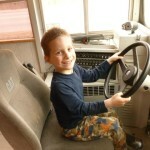 Kraig is a former public school administrator and counselor, as well as a former Baptist pastor. We are now staring a new congregation in the Lansing, Michigan area, as well as traveling occasionally across the United States, ministering to families, helping start small Messianic congregations, and speaking on biblical marriage, parenting, and homeschooling. We believe the Bible provides the answers to everything we need in life (2 Peter 1:3). Our goal is to help men and women apply the Bible to their life in practical ways and to strengthen families. Here are some of our common speaking topics, although we’d be happy to design an event that fits the needs of your audience. We’ll take a specific look at what Scripture says about goals, methods, and curriculum, giving lots of practical ideas you can apply in your homeschooling right away. This series of presentations takes a look at what Scripture says about the local church. We share ways that any size congregation, from home-based to very large, can be sure that their assemblies are biblical and effective at accomplishing God’s plan. This series of presentations takes a look at marriage throughout Scripture and offers practical ways we can strengthen and deepen our marriage relationships. This series of presentations takes a look at parenting throughout Scripture and offers practical ways families can have a joyful, peaceful, and loving home. This presentation takes a look at the Feasts of God given in Leviticus 23 and shows how they contain amazing teaching tools we can use with our children, to show them their Messiah and to equip them for godly living. When God wants to teach mankind something, He follows a very specific method that we can copy in our homeschooling. 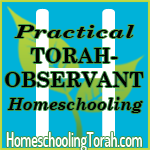 We’ll take a look at the book of Deuteronomy and what it says about homeschooling methods that really work. Does the Bible really tell us everything we need for life and godliness, as 2 Peter 1:3 says? This fascinating presentation takes a look at how the whole Bible fits together — and how it affects our lives every day. This practical presentation shows how to teach every subject, from math to history and science, all using the Bible as your primary textbook. This unique look at teaching history shows how Scripture can be used to tell all of history (from creation to modern times) from God’s perspective. We’ll show how Scripture covers the most important details, the things that God most wants our children to know and understand, which helps us plan out our children’s history education. If you want to check our availability for your event, or if you have some questions before proceeding further, please feel free to email us here.